Many of us have been taught that it’s wrong to be selfish, that sacrifice is good and that we should never place ourselves in front of anybody. I call it the “Essential Misguidance” of our human drama. Essential, because it holds onto the very essence of what we’re all about. Love and service; but in a roundabout backwards sort of way because it contains within its intention, the biggest lie that has us drift farther and farther away from authentic love and service. That such a fallacy be taught and practiced goes against everything we claim to want and yet generation after generation we’re teaching it, learning it and modeling it. I am referring to PEOPLE PLEASING. What I call the NUMBER ONE VIOLATION that brings about dysfunctional, dissatisfying, toxic relationships. to be treated better by others. We constantly wonder why people don’t see how good we are and how much we do. So, we continue to do even more and it’s never enough, people are still disappointed and then we get to beat ourselves up and summon up whatever energy we have left to blame others for how crappy we feel. It’s a guaranteed life of exhaustion, burden, frustration and deeply rooted anger, and those are just the emotional costs. It contributes to countless chronic diseases too. It doesn’t work. Not even a little. When I was seven years old, I watched my Father and Mother running around our dining room table. It was a small rectangular wooden table with six chairs that took up the entire space of the room. They circled the table six or seven times, often bumping into the edges and knocking around the chairs. My Mother, squeezed into her girdle, hiding the weight she was ashamed of, was chasing my Father who was laughing, her chocolate bars clenched tightly in his hand as he tormented her emotionally, taking away the very pleasure that brought her love. Her chocolate. After a while, when he got tired and surrendered the chocolate and she wiped away her tears, she closed herself in her room for a couple of hours, eating the chocolate I assumed, and then she would summon my sister and I, quietly playing with our dolls to get in the car. We would head to the supermarket where the day was spent shopping and cooking my Father’s favorites for dinner. I never understood it. How she could be nice to someone who was mean to her. Even as young as seven years old I knew something was very off. Today, it’s a clear example to me that my Mother was very insecure and felt she needed my Father to take care of her, even though it was very conflicted and conditional care. Neither one of them had an easy life. I recall many times how my Mother aimed to please my Father in hopes he would like her, love her, be nicer to her. People Pleasing looks like and how its attempts toward love and acceptance are futile. I saw first-hand that my Mother didn’t like and accept herself, so my Father constantly and consistently reflected that to her. I didn’t understand it back then and not only after decades of becoming that People Pleaser myself. Our insecurities and self-neglect have everything to do with how others will interact with us. If we’re violating ourselves, they will too. If we’re sacrificing our own self-expression and identity for others acceptance and approval, they will make sure we know we don’t matter. People Pleasing insures a life of misery. After sixty-five years of marriage, my Father died suddenly, but not after moving into a separate house; a house my Mother was not invited to unannounced. Their physical separation didn’t deviate from my Mother still catering to my Father from a distance and making him her first priority in life. That is what co-dependence is all about, and the People Pleaser is co-dependent. That is why they do for others. They simply don’t count. In discussions with my Mother some years ago, she voiced her strong opinion that she couldn’t have done anything wrong because she doesn’t have a selfish bone in her body. As her daughter, who witnessed her neglect of herself and others too, was surprised at how she couldn’t see this pattern that kept her from addressing her own needs and overly attending to others was a futile attempt at getting others to approve of what she so disliked, herself. That is a selfish, self-absorbed pursuit disguised by the act of what looks like kindness, but instead are conditional acts to win your acceptance and approval OF THEM. you and does so because they are always doing and overdoing to get your attention, acceptance, approval and love, even when you don’t ask them to. They care more about how you feel about them than how you feel. They are addicted to the validation, adoration and instant gratification that only you can provide, since they use you to feed their own self-image. If my Mother had a healthy dose of selfish attention for herself and her needs, she wouldn’t have attracted the kind of dysfunctional relationship that relied on the judgment of my Father and others and her life wouldn’t have been the burden and sacrifice it was. In addition, she couldn’t be an effective Mother because she didn’t have healthy ways of attending to herself let alone us, and so she modeled some very unhealthy ways of being. I wished for both of my parents to separate and find happiness apart. Yes. I am one of those children that wished my parents would have divorced. We all could have been happier. What will it take for us to learn that making ourselves the priority is the answer to getting the love we want? 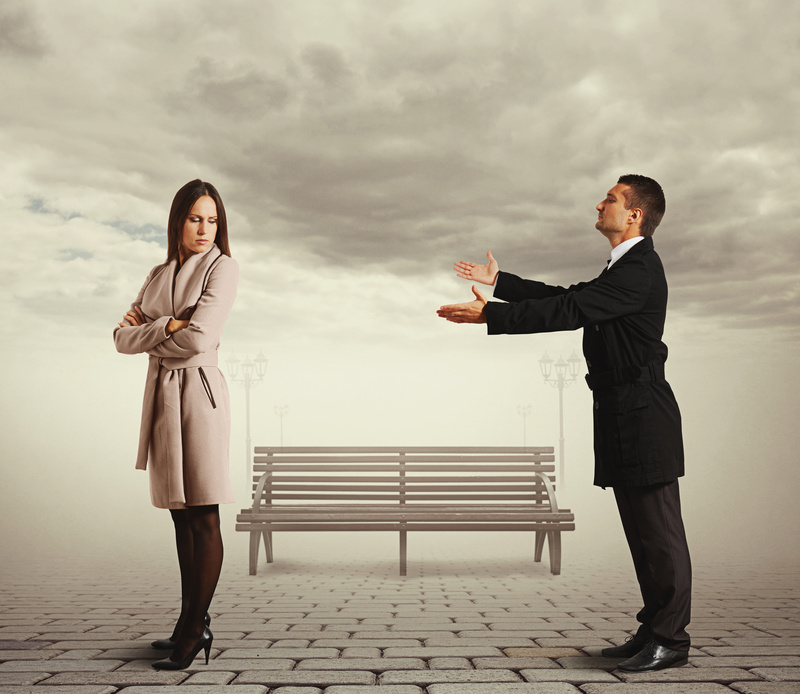 First, we have to consider why we People Please in the first place, how this behavior once served us very early on as children and how as women, we became addicted to the very behavior that sabotages our chances of healthy love. Did you ever stop to think why we’re so afraid of being alone???? Did you ever stop to think how frightening and abandoning it is to rely on others to control the way we feel and vice-versa? To be at the mercy of others to decide and define who we are and what we’re capable of? It’s not something we give much thought to, because we’re too busy searching for love in all the wrong places and using much of our energy to get the people who are wrong for us to like us. And then we scratch our heads in disbelief when our relationships reflect such offensive experiences. We’re terrified of being alone because when we’re really alone and not there for ourselves we’re like Sandra Bullock in the movie, Gravity. Aimlessly floating in a dark scary place without any anchor or grounding to feel safe or secure. Scary doesn’t even begin to define it. Is it that us women are stupid or is it that we’re just too good? That our hearts are big and we believe in the fairytales we were told as children? Is it because despite what we see with our own clear vision that we doubt the evidence right in front of us? Is it because we know we’re so capable that we keep trying to win over the people that we find difficult and unlikeable just to prove that we’re okay? Is it that we are so arrogant that we believe with a little more of our kindness and manipulation we can change others and everything will be okay? Or, are we just repeating the behavior that kept us safe in childhood and supported our very survival? And the answer to the latter, is YES. Absolutely. 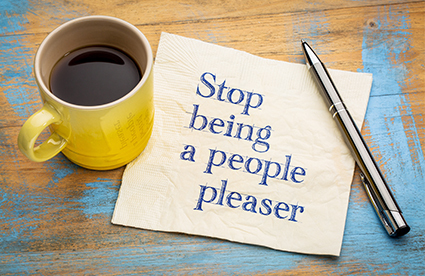 People Pleasing once served us early on and as adults, we’re still chasing that familiar approval we received for staying quiet, acquiescing to others, holding back our self-expression and learning to leave ourselves out and make others matter. Because back then, it worked. 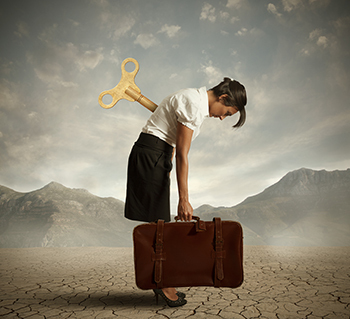 It helped us avoid punishment, minimized the chaos, relieved our caretakers of the burden of our needs. We abandoned ourselves long ago in return for love and acceptance and we still do it today, continuing on the quest to find another to “get and understand us”, a futile and frustrating path of toxic destruction. I am so glad you’ve made the decision to join People Pleasers Reform Academy and hope that you stick with me because here’s the great thing about reforming from habitual, addictive behavior. It may feel uncomfortable and a lot of work initially, but it takes almost no time at all to start seeing the benefits. And the greatest part is that you get to serve people in a bigger way. First, know there is no greater feeling than kindness. Authentic kindness. Not the kindness that is put on or forced or hiding some other behavior that we know is unacceptable. I am talking about genuine, authentic compassion. When I’m in that vibration, I feel confident, beautiful and on top of the world. Isn’t it time you learn that for yourself? Yes, it’s easier to say Yes when you mean No, than it is to say No. From as early as two years old, we already know the consequences of saying No. But we also know as early as two years old, even when we’re too young to make sense of it, that it feels so damn good, because we’re exercising and expressing who we are, what we like and don’t like and what feels right especially when someone is leading us down a very wrong street. People Pleaser reform is about saying No. No to others and No to yourself, not to make others mad or disappointed, which will happen, but to seek harmony so that you can connect deeply with your true essence and expression and connect with others deeply too. And more important, to reach your full potential and to serve the world in only the way you can. We can’t make others happy, but we can contribute to their happiness in the ways we inspire and uplift them. The more we care for ourselves, the more we will be positioned to do so and once you’re filled up and rested yourself you will feel the difference in doing for others. It will no longer be a need. It will become a desire. So, for this week, what can you do to take a step toward your own self-care? 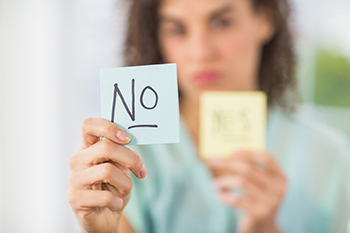 Who or what can you say NO to, because with each No, as uncomfortable as it may feel at first, your confidence gets a instantaneous boost and your power begins to restore. There is NO other way than NO. Know this now, because as early as two years old you knew it well and didn’t have the opportunity to express your voice. Today you do.